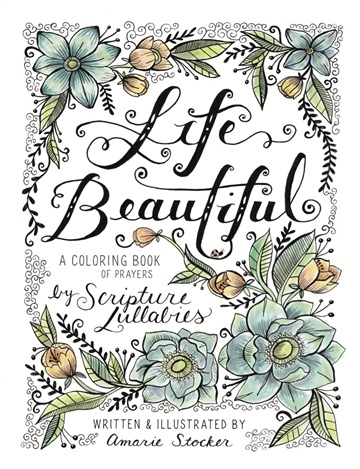 - Fun for All Ages: Whether you’re 2 or 92, our Christian coloring book will take you on a creative journey at the turn of every page. Explore new depths and draw ever closer to your Creator as the wonder of God’s Word comes alive not only to your senses, but to your soul. The Word of God is so very powerful, especially in a form where it can easily be absorbed – that’s why Scripture Lullabies is having such a profound impact on listeners of ALL ages, not just the little ones! It has changed the atmosphere in tens of thousands of homes with an undeniable peace and the powerful story of God’s Word told through breathtaking music. Whether you are two or 92, this music will surely minister deeply to your soul with beautiful orchestrations that sound more like a movie score than what you might expect from typical nursery music. Nightmares disappear when this music is played. Adults, teens and children experience relief from anxiety as an atmosphere of peace replaces turmoil and unrest. Experience God’s Word in a uniquely gentle way with Scripture Lullabies. The Word of God is so very powerful, especially in a form where it can easily be absorbed – that’s why Scripture Lullabies is having such a profound impact on listeners of ALL ages, not just the little ones! It has changed the atmosphere in tens of thousands of homes with an undeniable peace and the powerful story of God’s Word told through breathtaking music. Whether you are two or 92, this music will surely minister deeply to your soul with beautiful orchestrations that sound more like a movie score than what you might expect from typical nursery music. Nightmares disappear when this music is played. Adults, teens and children experience relief from anxiety as an atmosphere of peace replaces turmoil and unrest. Experience God’s Word in a uniquely gentle way with Scripture Lullabies.